After waiting through the busy holiday season, the two entities made it official. Honaker’s company will act as landlord, continuing to own the building and the land beneath it. Chef Maro will operate the restaurant. As of Tuesday, Jan 22nd, the keys to the Royal Hawaiian kingdom were placed in Chef Maro’s hands. The popular restaurateur and chef of Maro Wood Grill has taken up new residence just 1.6 miles north from his previous restaurant. That same day, the Honarkars made the change-of-ownership announcement to the Royal Hawaiian staff. The restaurant officially closed that day, and interested staff members immediately began scheduling interviews with the new owner/operator, Mariano Molteni. The goal is to re-open the revitalized restaurant before the end of February. On Tuesday, Chef Maro had the keys. And early Wednesday morning … the flurry of activity began. As he worked through numerous interviews with existing staff, Molteni answered fire department calls about his incoming wood grill, chatted with chosen architect Horst Noppenberger about minor changes for the interior, got plans rolling with the City, and nosed through the kitchen with a fine-tooth comb. Meanwhile, his Argentinian-based brother, Martin, was calling and texting about the incoming kitchen manager and menu possibilities. 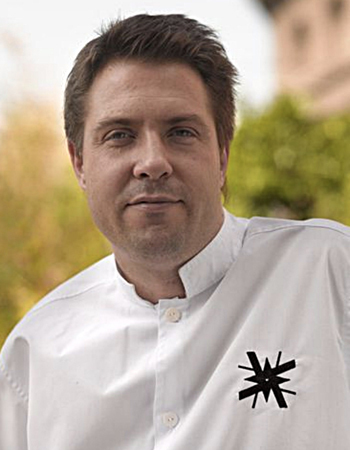 Martin Molteni, officially deemed “The Best Chef of Argentina,” will be joining his younger brother in the new venture. The two brothers have independently collected a host of awards and accolades regionally and internationally, but have decided to devote “the next decade ahead” to collaborating and creating successful concepts together. Although Martin Molteni already paid a brief visit in January to look over the possibility of the Royal Hawaiian, Chef Martin will return in February for an extended stay. 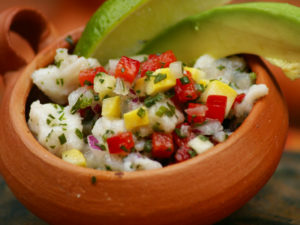 Over the next year, he plans to travel regularly between Laguna Beach and the culinary empire he has created in Argentina. Born and raised in Argentina, the Molteni brothers will continue to pay homage to Royal Hawaiian’s Polynesian culture, particularly as wood-grilled beef, chicken, pork and seafood is so much a part of that culture. 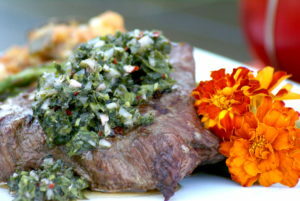 For centuries, Hawaiians have crafted their meals over open wood fires in the great outdoors, a culinary skill that syncs beautifully with similar Argentinian heritage. “There’s a great deal of crossover between our cultures and that’s what we’re going to be focusing on here,” says Chef Maro. 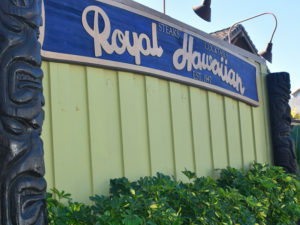 “The Royal Hawaiian opened in 1947 and for decades it was the greatest steak and seafood place around. 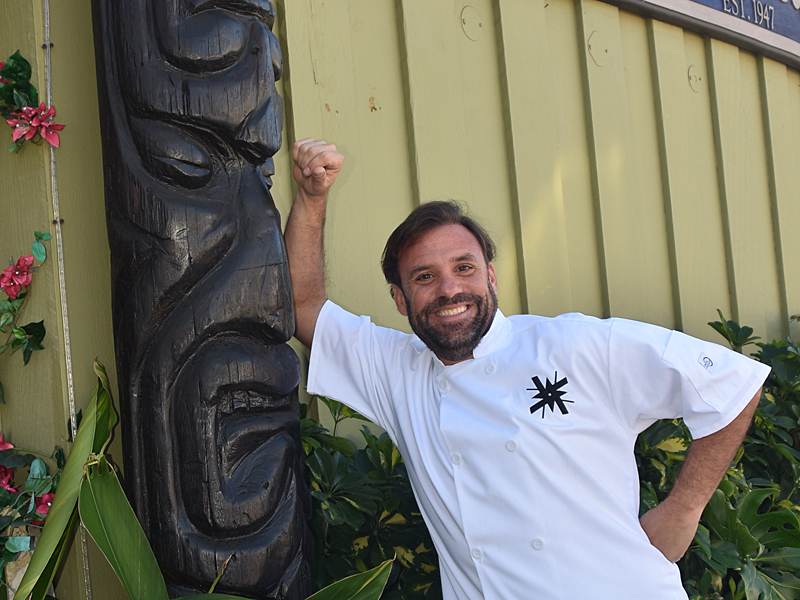 Yes … yes … the Lapu Lapu is never going to go away, but the real ‘nostalgia’ we’re interested in has to do with creating that amazing Polynesian steakhouse again,” he says. After years of success and accolades at Maro Wood Grill, Maro Molteni sold his restaurant in July 2017, allowing the new owners to keep his moniker. He and wife, Patricia, took their two sons back to Argentina, where he worked with chef brother, Martin, on strategy and action for a number of large regional cuisine projects. A year later, when Chef Maro and his family returned to Laguna, the Chef was determined to find a larger restaurant space in Laguna. This proved a more daunting task than he first assumed. Months later, with nothing moving on the Laguna Beach front, Maro began widening the net, looking as far north as Lido Island and parts of Costa Mesa. It wasn’t until late October that he connected with Laguna Creative Ventures Founder Mo Honarkar, whose own Laguna commercial properties house a few ideal restaurant spaces. Given that Honarkar recently took on ownership of the iconic Hotel Laguna, this seems to be the next question on every resident’s mind. “There are so many variables on the table right now that it’s not something we’re discussing at the moment,” says Molteni. “In the future, Royal Hawaiian might be a great concept for Hotel Laguna, but it’s also a great stand-alone icon. Either way, I think the Royal Hawaiian will continue being the gathering place that people love for many years to come. “Right now, we’re working on getting this restaurant in this location open in about four weeks’ time. And, then, the goal is to succeed at welcoming back its biggest fans along with the “family” we came to know and love at our first restaurant here in Laguna, Maro Wood Grill,” says Maro.